More than 1.5 million registered nurses (RNs) work in state, local, and private hospitals across the United States. Thousands of these nurses work in emergency care. Known as emergency nurses, these skilled professionals provide lifesaving care in emergency rooms, urgent care centers, helicopters, ambulances, and many other environments. They must act quickly to stabilize severely injured and sick patients, diagnose medical conditions, and alleviate pain. Most states don’t require emergency nurses to hold certification beyond their RN license. 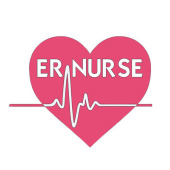 However, many employers prefer to hire RNs with emergency nursing certification from a recognized organization such as the Board of Certification for Emergency Nursing (BCEN). Emergency nurses may choose a certification specialty area such as flight (CFRN), pediatric emergency (CPEN), emergency (CEN), or critical care ground transport (CTRN). The BCEN requires continuing education and re-certification every four years. Prior to this certification, an aspiring emergency nurse must first become an RN and gain emergency care experience. RN students must complete an accredited nursing program that leads to a diploma, associate’s degree in nursing (ADN), or bachelor of science in nursing (BSN). Employers increasingly prefer candidates with a BSN degree. More than 2,000 RN prelicensure programs are available at hospitals, colleges, and universities across the country. Diploma and ADN programs require two to three years of fulltime study, while BSN programs take four years to complete. All programs prepare students to pass the National Council Licensure Examination for Registered Nurses (NCLEX-RN). Licensure is mandatory in all states, the District of Columbia, and U.S. territories. To begin their emergency nursing experience, some students complete an externship in the emergency department at a local hospital during their degree or diploma program. A newly licensed RN must assist paramedic teams or work as an emergency room floating nurse for two years before she can sit for the emergency nursing certification exam. While the road to emergency nurse certification is challenging, the rewards are worth the trip. RNs are among the highest-paid nurses in the healthcare industry, with a median annual salary of $66,000 nationwide. RNs in several states earn significantly higher average salaries, including California ($98,000), Hawaii ($88,000), Massachusetts ($86,000), Alaska ($86,000), and Oregon ($83,000). Indeed, a high-performing RN in any state has the potential to earn more than $80,000 per year, particularly with a coveted certification like emergency care. RNs also enjoy exceptional job stability, with projected employment growth of 19 percent over the coming decade – much higher than overall employment growth. A challenging career as an emergency nurse begins with a high-quality RN degree or diploma program. Browse our directory to find the best ADN and BSN programs in your local area.